The South Beach Miami night life is hot all year long, anytime of the year is a great time to come to South Beach Florida. The trendy South Beach clubs, lounges and bars are always hot and new venues are opening all of the time. South Beach has many clubs and each night there is an exclusive club party to attend. You can check out our South Beach nightlife events calender for some of the Miami nightlife events but trying to figure out which South Beach clubs are the best and which nights are the hottest nights to be there is not an easy task. VIP South Beach Miami’s premier VIP service company will make sure you are in the right hot spot on the right night of the week to be there. VIP South Beach offers premium South Beach Miami nightclub packages or nightclub bottle service to all the best South Beach clubs. Including Liv nightclub, Story nightclub, Cameo nightclub, Dream/Exchange nightclub and many more. The South Beach clubs are known for being very hard to get into. They have big crowds and long lines waiting and hoping to get into South Beaches trendiest nightclub parties. 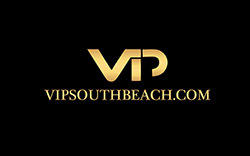 VIP South Beach will ensure you get into the hottest South Beach clubs on the right nights to be there and we will create your ultimate South Beach experience! Be sure to contact VIP South Beach today at 305 804 5071 or email info@vipsouthbeach.com to create your unique South Beach experience! VIP South Beach is your personalized service and we will create a South Beach Miami night life itinerary completely suited to your tastes and needs. We know the trendiest hotels, restaurants, bars, lounges and the hottest South Beach clubs. We have all the right connections and will ensure you are in the trendiest venues on the hottest nights all suited to your tastes and needs. Your VIP insiders guide and service will give you the ultimate experience in South Beach. Your exclusive personalized nightlife itinerary will be filled with reservations at the hip and trendy lounges, hotels, restaurants and clubs, South Beach has to offer; everything is created to your specific tastes. Premium Nightclub Party Packages Which Include a 2 Hour Open Bar At a Trendy Lounge, Limo Transfer, Hosted Nightclub Entry, No waiting In Lines and Complimentary Club Admission To South Beaches Best Nightclubs. Nightclub VIP table Bottle Service Reservations. Hosted VIP Nightclub Entry No Waiting In Lines. Reservations for Nightclubs, Lounges and Hot Spots throughout South Beach. Which nightclub party package do you prefer? Are you interested in table/bottle service at the nightclub? If the nightclub party package you prefer is blacked out due to a special event or the nightclub management do you have another nightclub party package choice?